Thirty-five delegates from ten member countries of JCAP participated in the said three-day workshop. Delegates from Australia, Cambodia, China, Indonesia, Myanmar, Philippines, Thailand, Timor Leste, and Vietnam were welcomed by the Pulangiyen community represented by Datu Nestor Menaling, who held a welcome ritual for the visitors called pandawat. 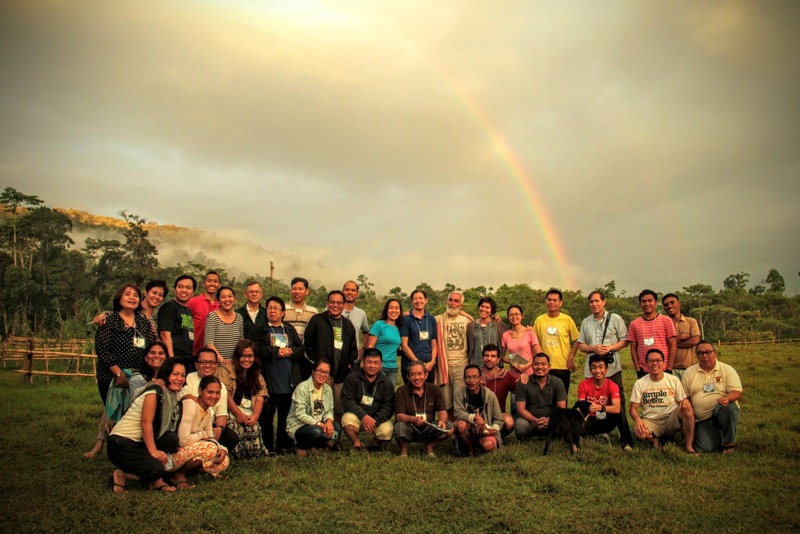 For three days with no Internet, email, and cellular phone signal, participants from Jesuit social, pastoral, and education apostolates, the local diocese and archdiocese, and a local community group of teachers and youth took part in the local exchanges and four workshop sessions – acting as one. The search for peace and human development in the Philippine Province “Roadmap of Mindanao” helped all connect. The modest venue allowed for hearty and practical discussions of challenges in constructing new buildings and common experiences of sharing designs with ecological accountability, as well as the importance of a green building code that allows for simple yet functional infrastructure. The delegates also prepared brief presentations about the ecological challenges and efforts being made in their home countries. This exchange of knowledge and experience was instrumental in sharing global strategies on Sustainable Development Goals (SDGs) and Intended Nationally Determined Contributions (INDCs) of COP 21 Paris. As a step towards nurturing a community of practice for reconciling with creation, delegates were able come up with 60 action points for Asia Pacific, visually depicted in a JCAP map of ecological concerns, and ten environmental commitments. Fr. David Andrus, SJ, one of the delegates from Micronesia, described Bendum as “a living example of what Pope Francis wrote in #10 of Laudato si”- an inseparable bond between concern for nature, justice for the poor, commitment to society, and interior peace. This story is also available on Ecojesuit.